Heavy rains in northern Chile, which forced state miner Codelco to halt operations at its Chuquicamata and Ministro Hales copper mines, have also impacted Freeport-McMoRan’s El Abra. Codelco, the world’s No.1 copper producer, said Friday it had sent its daytime shift of workers home as a preventative measure and would evaluate whether to cancel its night shift as well. Freeport-McMoran (NYSE: FCX), the world’s largest listed copper miner, has also suspended operations at its northern Chile mine El Abra following several days of heavy rain and electric storms that have killed three people and left roads cut off, houses damaged and triggered warnings of land and rock slides. Several days of heavy rain and electric storms in northern Chile have left three dead, roads cut off, houses damaged and triggered warnings of land and rock slides. “Our focus is the safety of our staff and in, the meantime, we’re assessing damages and clearing roads to access our facilities,” Freeport said in a statement quoted by Chilean paper La Tercera. 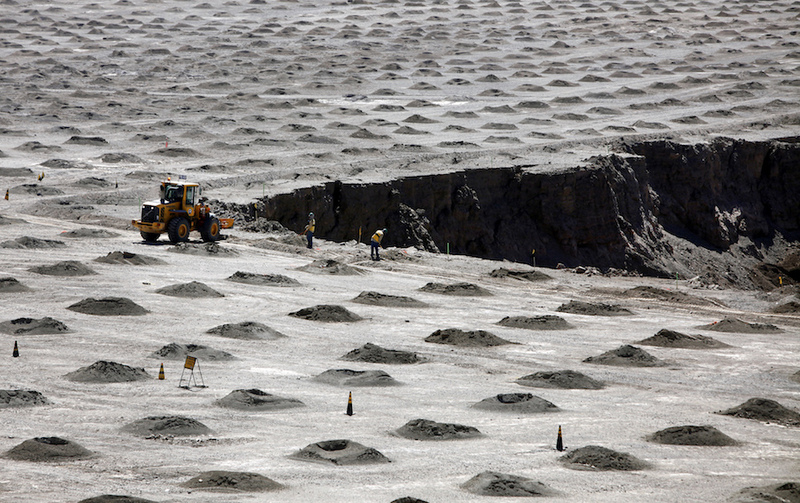 The US miner is in the midst of evaluating an extension of the El Abra open-pit copper mine, in which Codelco holds a 49% stake. Exploration results in recent years indicate the asset holds significant sulfide resources, which could potentially support a large-scale milling operation. Codelco said emergency teams had been deployed to its northern operations to monitor and mitigate any impact caused by the weather. The company also confirmed that a polycarbonate roof had collapsed at an "industrial site" operated by a third-party contractor at Chuquicamata mine, the miner's second largest by output. It said the collapse had not resulted in any injuries. The state miner Codelco holds 10% of the world's known proven and probable copper reserves and generates around 11% of the global metal supply with 1.8 million tonnes of production.